ST GEORGE’S, Grenada, Nov 21, CMC – The attorney representing a Grenadian national who was denied entry into Trinidad and Tobago in December last year, said that the Trinidad-based Caribbean Court of Justice (CCJ) has agreed to hear the matter. Attorney Ruggles Fergusson said that David Bain has become the first Grenadian national to be granted leave to commence proceedings against Port of Spain under the court’s Original Jurisdiction. The CCJ, which was established in 2001 as the region’s final court to replace the London-based Privy Council, also functions as an international tribunal interpreting the Revised Treaty of Chaguaramas that governs the regional integration movement, CARICOM. Bain was denied entry into Trinidad and Tobago on December 14, 2017, after he landed at Piarco International Airport to attend a wedding and to meet with relatives, whom he had not seen for a while. On September 10th, he applied for special leave to commence proceedings against the Trinidad and Tobago government for breach of his right as a CARICOM national to freedom of movement as provided for under Article 45 of the Revised Treaty of Chaguaramas. 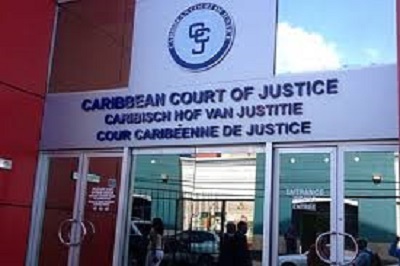 Ferguson said that at the case management hearing on Tuesday, the CCJ denied the request by Trinidad and Tobago to extend the time to file a request to be heard on the application for special leave. 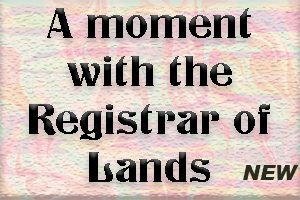 “The Republic of Trinidad and Tobago was required to file the request within 14 days of being served with the application for leave, in accordance with the Original Jurisdiction Rules of the CCJ, but did not do so,” he said in a statement. Under the Case Management Order, the attorneys for Bain are required to file their Originating Application, on or before November 27 this year to commence proceedings. The attorneys for Trinidad and Tobago are required to file a defense within 42 days of being served and another case management conference is scheduled for January 30, next year to finalize preparation for the substantive hearing of the matter. Ferguson said that apart from seeking a declaration that his right to freedom of movement was breached by Trinidad and Tobago, Bain is also seeking damages. This is the second case involving Grenadian nationals to come before the CCJ in recent days. The first involved four members of a family against the Barbados government that was heard on November 8. The family, Royston, Glenn or, Tamika and Lynnel Gilbert claim they were bullied and humiliated over a false accusation of stealing a mobile phone in October 2016. The application for special leave in that matter is set for hearing on January 15,, 2019.